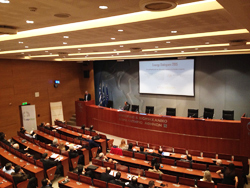 P&A Interpreters PC is an Athens-based Greece-wide company providing interpreting and translation services. 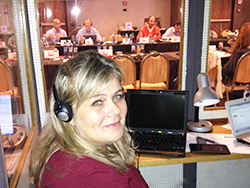 P&A Interpreters Ltd, a sister company, is based in Sofia, Bulgaria. P&A Interpreters was founded by Maria Petrocheilou, a qualified and experienced conference interpreter (full member of the Hellenic Association of Conference Interpreters (SYDISE) and of the Italian Association of Professional Conference Interpreters (ASSOINTERPRETI)), official translator (member of PEEMPIP and PEM) and interpreters’ trainer (M.A.S. ), with the aim to provide high-quality interpreting and translation services. We provide integrated interpreting services including consultation on the interpreting needs of your conference, putting together and heading the most appropriate interpreters’ team, choosing suitable technical equipment, as well as the transcription and translation of the minutes of your event. P&A cooperates only with experienced professionals who can meet the requirements of the specific assignment. We have a solid track record in offering top quality language support to a wide range of public authorities, ministries, chambers, not-for-profit organizations, law firms, notaries, TV channels and businesses throughout Greece for the past twenty years. 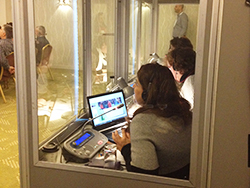 P&A Interpreters specialises in multi-booth events. We offer simultaneous, consecutive, whispered interpreting services, as well as bilateral, court or legal interpreting services. 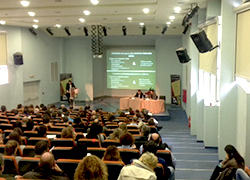 We put together teams of qualified interpreters for your conference in Greece but also abroad. Thanks to our different sources but also the personal long-standing contacts we have developed throughout the years, we can compose the right team for your needs. 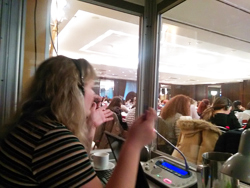 All our simultaneous conference interpreters are holders of university degrees in conference interpreting or SCIC accredited or otherwise certified; they are all experienced bringing with them over ten years of conference interpreting practice and professional association to bodies such as SYDISE, IAPTI and AIIC. We also provide advice about the type of interpretation that is most suitable for your conference: simultaneous, consecutive or whispered. 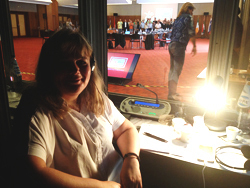 We liaise between conference organisers and interpreters. We advise on the equipment required for simultaneous interpreting or video conferences and where to source it, if you wish we can also book it for you. We tackle all practical and administrative details, such as cost estimates and contracts with interpreters. Last but not least, P&A Interpreters provide high quality translation services, as well as official certified translations for a great number of languages.